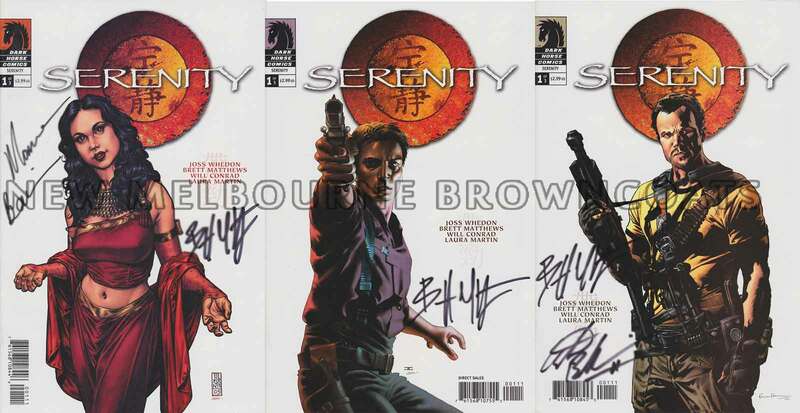 New Melbourne Browncoats, Inc. | We have some incredible collectibles coming up for auction on ebay starting September 16 to support Equality Now! We have some incredible collectibles coming up for auction on ebay starting September 16 to support Equality Now! 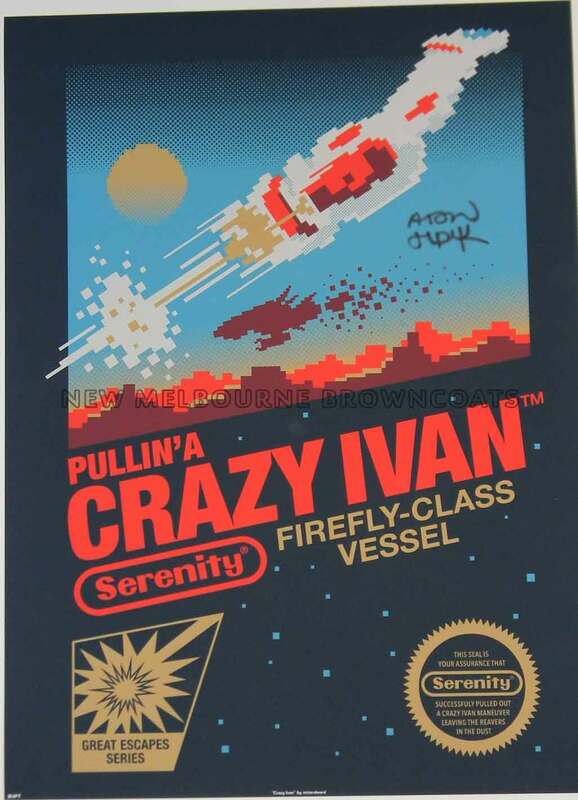 One of the most awesome parts of our annual Can’t Stop The Serenity events are the incredible collectibles that we are able to source from around the globe to raise money for charity. Often signed by the stars and/or rare and difficult to obtain, we work our contacts to get the best gear from near and far so that you can take advantage, bid large and contribute to the wonderful cause that we all get together for each year – Equality Now. 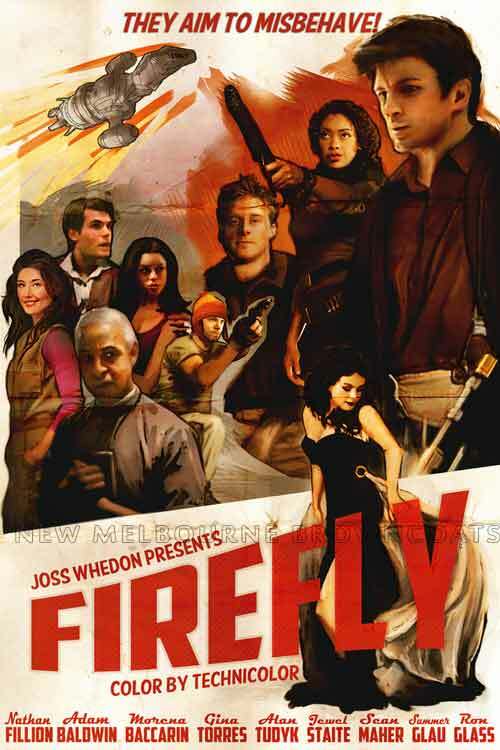 This lot features a full set of variant covers for Serenity Those Left Behind Issue #1 (initial release). Mal cover is signed by Brett Matthews (author), Inara cover is signed by Morena Baccarin (Inara) & Brett Matthews (author), and Jayne cover is signed by Adam Baldwin (Jayne) Brett Matthews (author). These have been kindly donated by Jen Cummings and John King. This is a rare opportunity to score a Dollhouse Season 1 DVD set (Region 1) signed by cast members Eliza Dushku, Tahmoh Penikett, Dichen Lachman, Summer Glau, Amy Acker, Miracle Laurie and Fran Kranz. This fantastic prize comes thanks, in part, to Supanova Pop Culture Expo and Oz Comic Con. 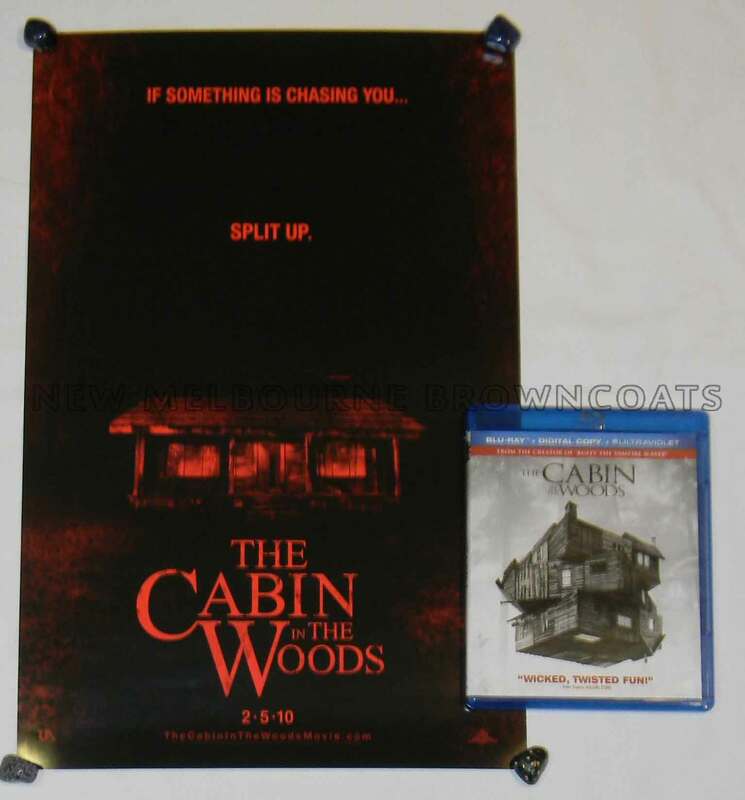 Get your hands on a rare promo poster measuring 28cm x 40cm plus a Blu-ray copy of the film [US Release, Region A]. These have been kindly donated by Jen Cummings. 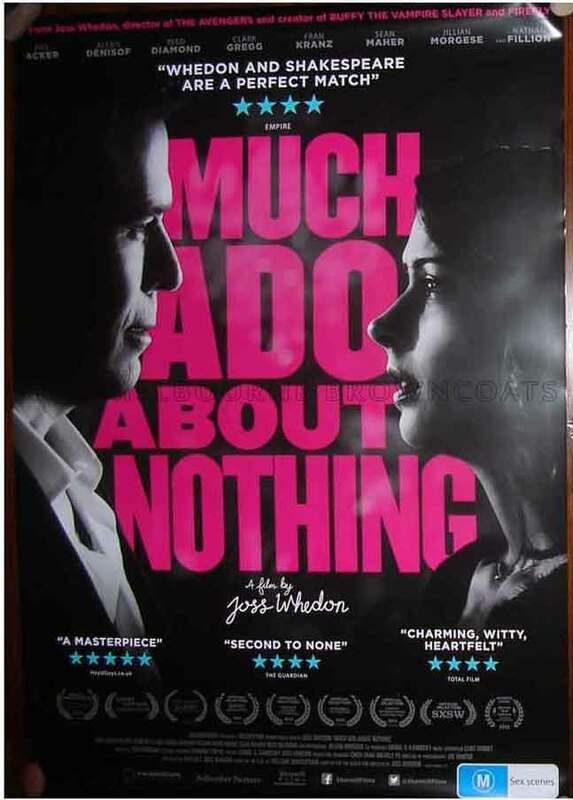 The Australian promotional poster is very rare, with only a limited number printed. It measures 27″ x 40″ and was donated by Sharmill Films. 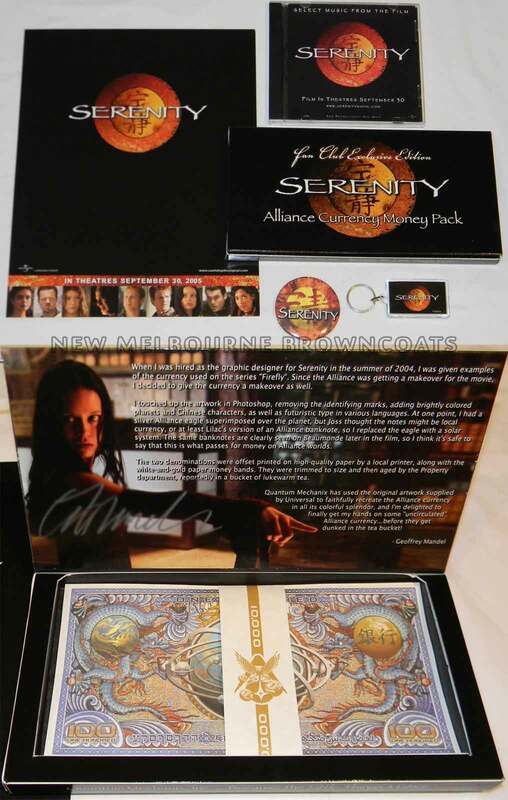 Celebrating the release of Serenity in 2005, this pack contains a selection of rare promotional items plus a Serenity Fan Club Edition Money Pack signed by Serenity’s graphic designer Geoff Mandel. Acquired via Universal’s US film promotions (and obtained at San Diego Comic Con in 2005) the pack includes a Serenity promo one-sheet, Serenity sample soundtrack CD, Serenity badge/button, and Serenity key chain. These have been kindly donated by Jen Cummings. You’ll love this wonderful vintage inspired Firefy print by artist Ellie Babin-Sather (Elle is a Monster). Measuring 28cm x 43cm, this glossy print is simply gorgeous. These has been kindly donated by Ellie Babin-Sather.